The 2010 Buick Enclave CXL | Bexley Motorcar Co. 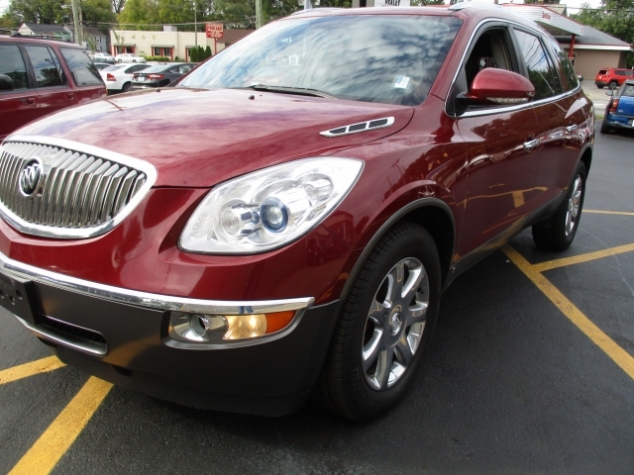 This amazing Buick Enclave is for sale at Bexley Motorcar Company. With under 89,000 miles on it the Enclave has a ton of life left in it. With a 3.6 L 6 cyl. engine powering the all wheel drive system this Buick you will always have the power and stability to rule the road. The beautiful red exterior fallows the classic looks that Buick is known for. With great chrome accents, you will be turning heads everywhere you drive. The looks don't stop on the outside. With a stunning gray leather interior being the base of this classy cab, you will never be let down. Some of the great interior features are; a Bose sound system, a navigation system, and rear seat entertainment system with a DVD entertainment system. This Enclave is perfect for driving around town or a long family road trip. Stop by 2253 E. Livingston Ave. Columbus OH, 43209 and see the great team at Bexley Motorcar to learn more about this 2010 Buick Enclave CXL w/2XL.